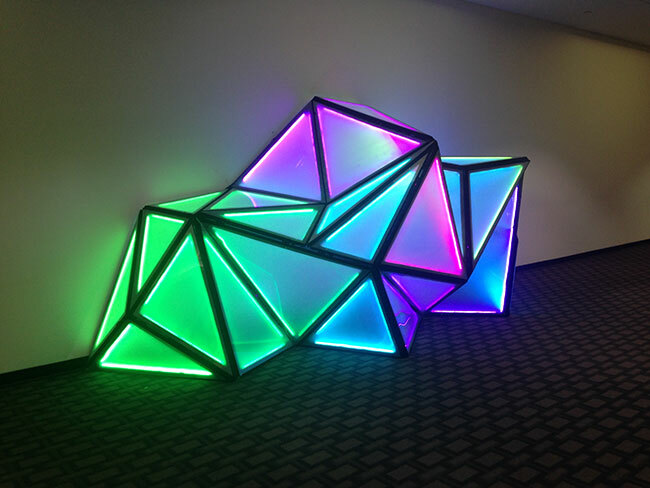 Students from Lawrence Technological University undergraduate sculpture class designed and built a 3-D light sculpture at the Southfield Town Center. The objective was to create an art installation that was interactive, enhanced the surroundings, and impacted visitors to think about how art impacts our world. Financial support from the project was provided by the Southfield City Centre as part of their efforts to create a vibrant mixed-use environment in the city centre district. The Southfield Public Arts Commission also assisted in implementation and will ensure proper future maintenance of the piece occurs.